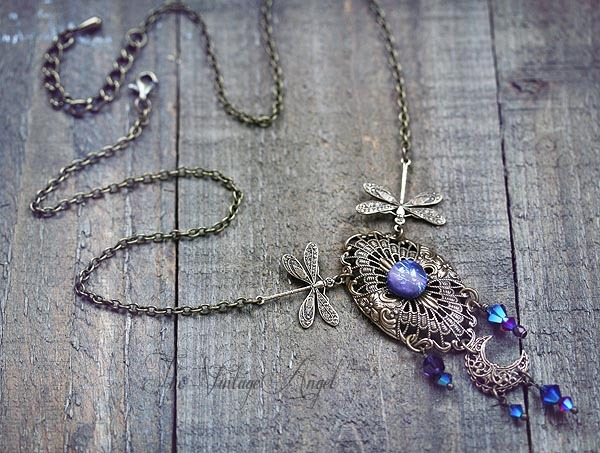 Bohemian inspired and so vibrant, this necklace is a fantasy to behold. 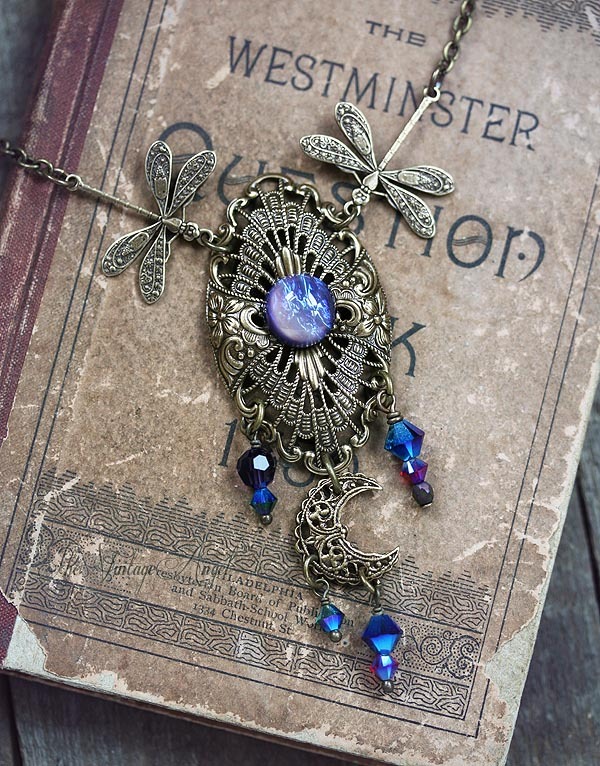 Antiqued brass stampings form the backdrop for a most splendid, harlequin Dragon's Breath glass opal in vibrant, swirling shades of lavender. 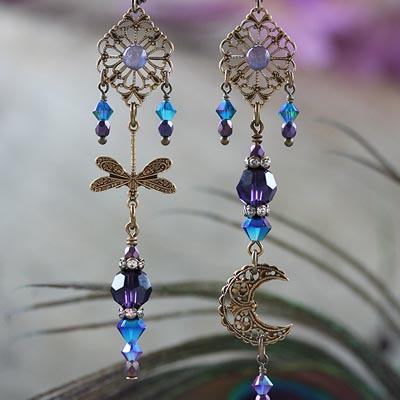 Two dragonflies fly inward toward the focal, and a dainty crescent moon adds drama along with the colorful Swarovski beaded drops. This beauty comes at 20" long with a two inch extender but I am happy to make it shorter or a bit longer at no extra cost. Metal American-made brass, antiqued, free of lead and nickel. 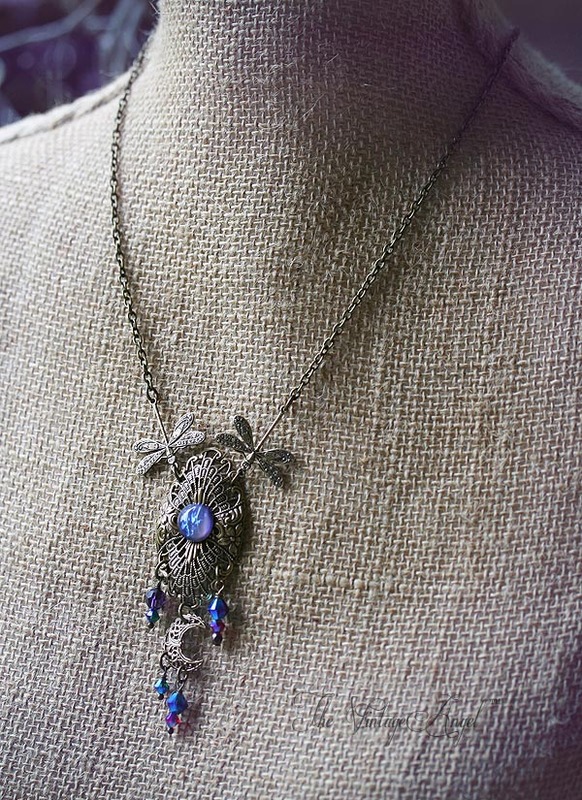 This piece is handmade in our studio in the USA. Comes on a 20" long chain with 2" extender. If you'd like it a little shorter or longer, we can do that no problem and minor chain length adjustments are always free. Simply use the message box you'll see when checking out to request a different length.